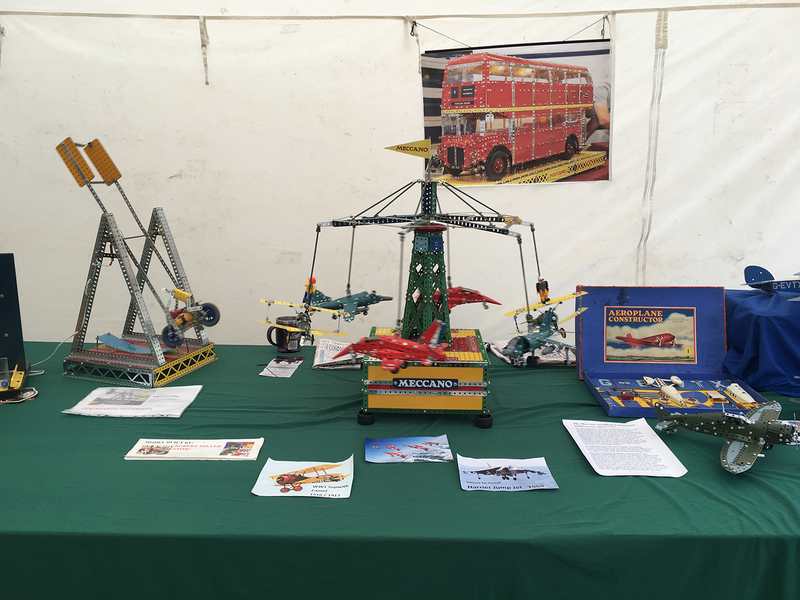 Model Club Show is a soaring success! Beat SCAD enjoyed a superb weekend at the Melton and District Model Show in Melton Mowbray, Leicestershire on 10 and 11 September. 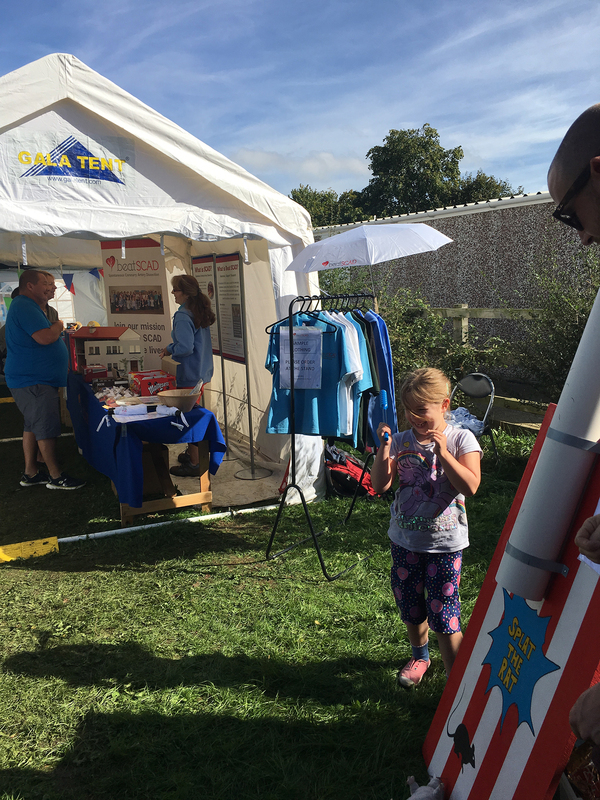 The first day presented some early challenges after the unpredictable British weather deconstructed the entrance tents where Beat SCAD were due to reside for the event. Fortunately, Abstract Audio came to the rescue and re-homed us, phew! Thank you Russ and Team. The weather remained poor until the early afternoon but there was plenty to see and do in the club house and marquees including a beautiful exhibition of doll’s houses curated by Arthur a d Vera Askew, a British Model Flying Association flight simulator, Meccano displays, model railways, slot cars and radio controlled cars. BBC Radio Leicester stopped by for an interview with Beat SCAD Chair Rebecca Breslin and MDMC Chair Chris Savidge. 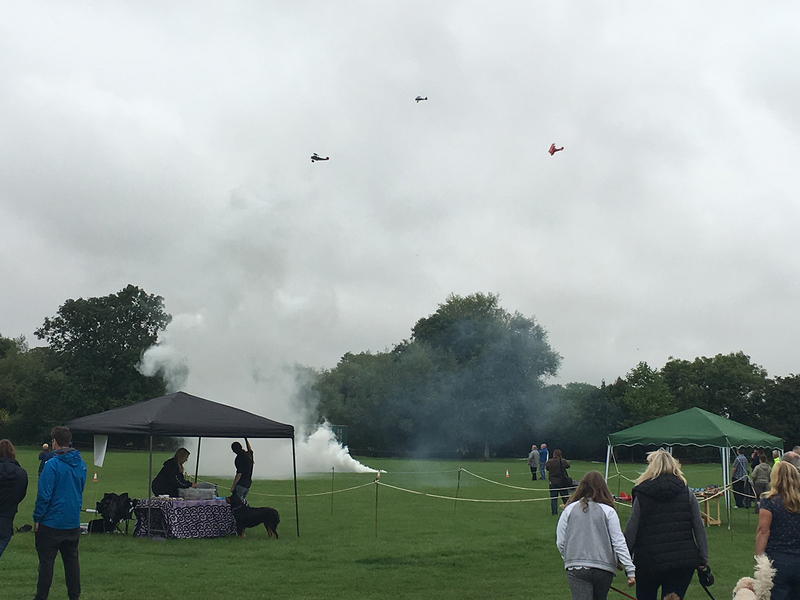 Once the rain passed, the model club members began to display their skills flying the radio-controlled planes – including various scale models of wartime aircraft replicating a world war battle. Dr Adlam, our UK SCAD expert and researcher from Glenfield Hospital in Leicester, made a guest appearance. 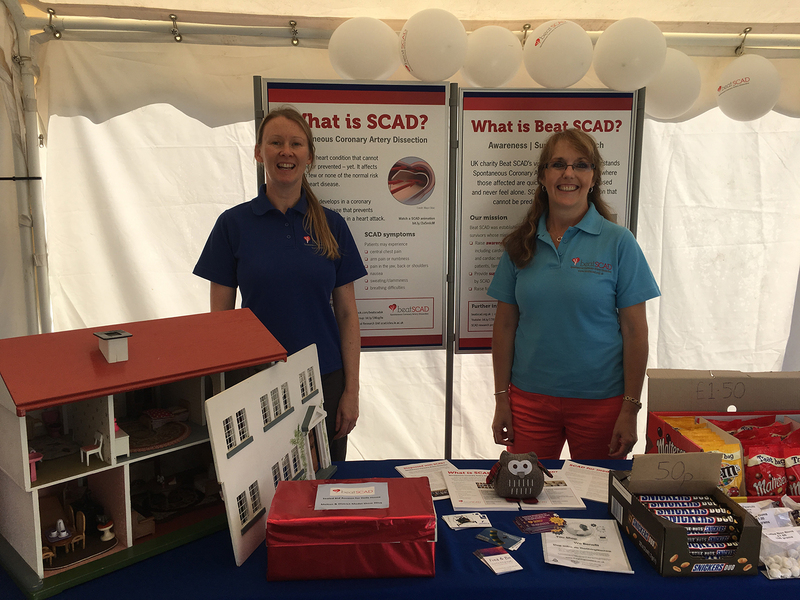 Dr Adlam spoke to the crowd about SCAD, the research and the importance of events like the Model Show to raise awareness and reach people to support our cause. 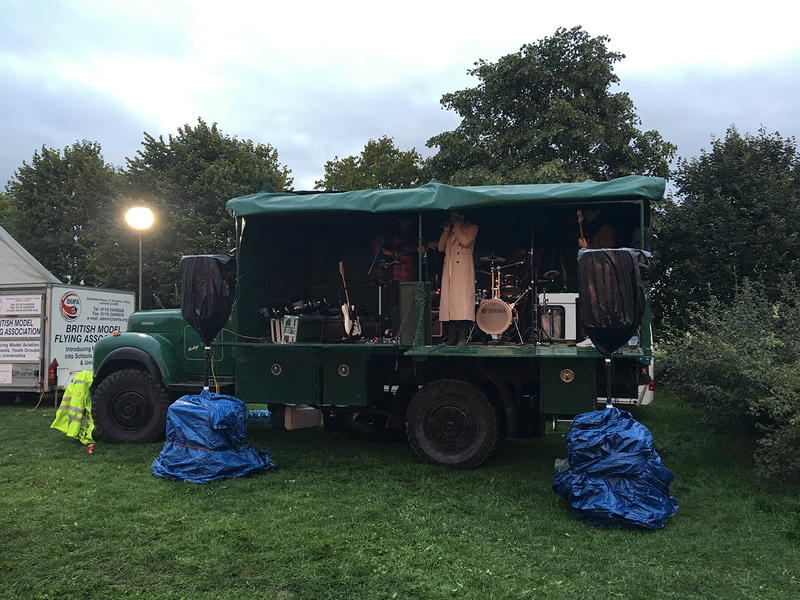 The fun dog show was a huge success and evening entertainment continued with classic cars and live music from One Man Two Tone followed by Groove Merchants. Despite the rotten weather, Saturday was a great day (it takes more than torrential rain to dampen our spirits!). In stark contrast, Sunday was gloriously sunny and the crowds arrived early. 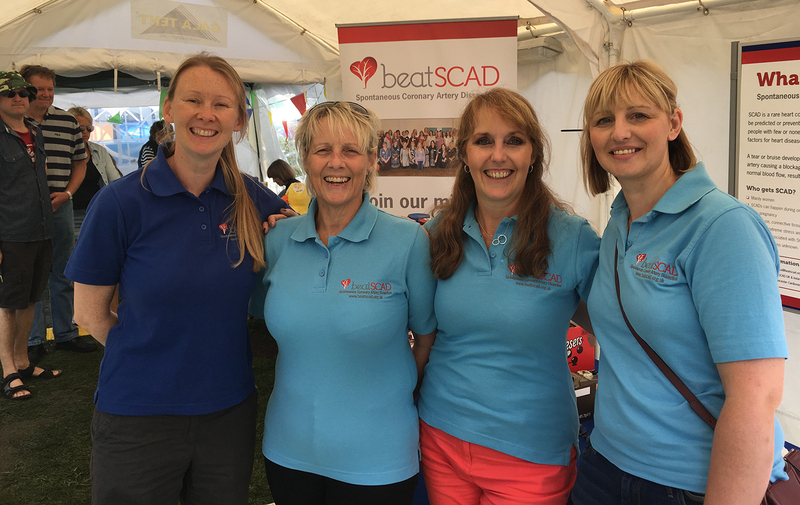 The volunteers on the Beat SCAD stand were kept busy all day: explaining what SCAD is, manning ‘Splat the Rat’ and the popular ‘Buy a mystery bottle’ game which included an array of fantastic hidden prizes donated by family & friends of Beat SCAD and local businesses. 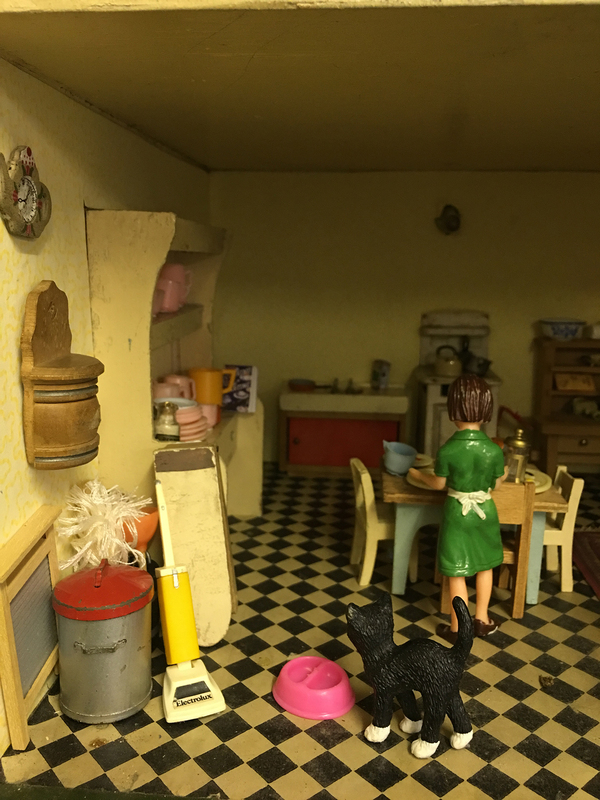 Have a look at the gallery below. 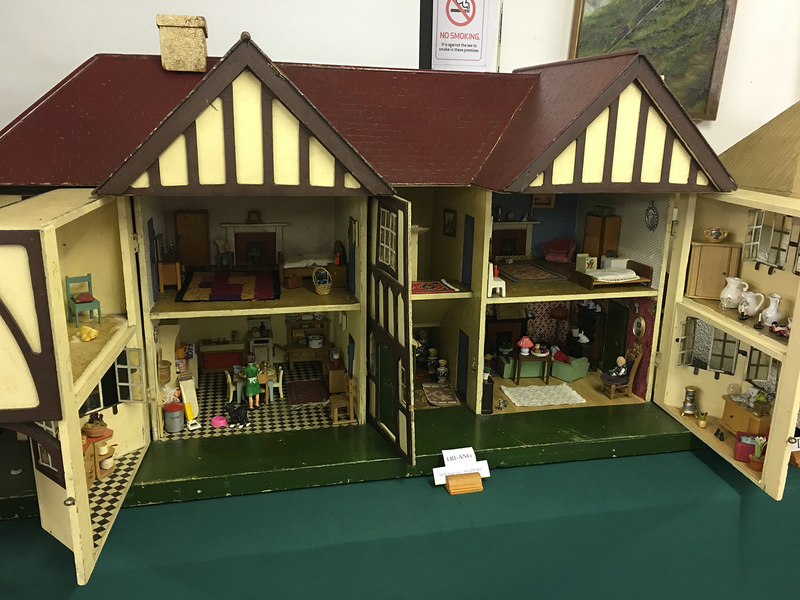 The doll’s house donated by Arthur & Vera Askew attracted a flurry of bids on Sunday and the lucky winning bid was submitted by Mary James of Chesterfield. 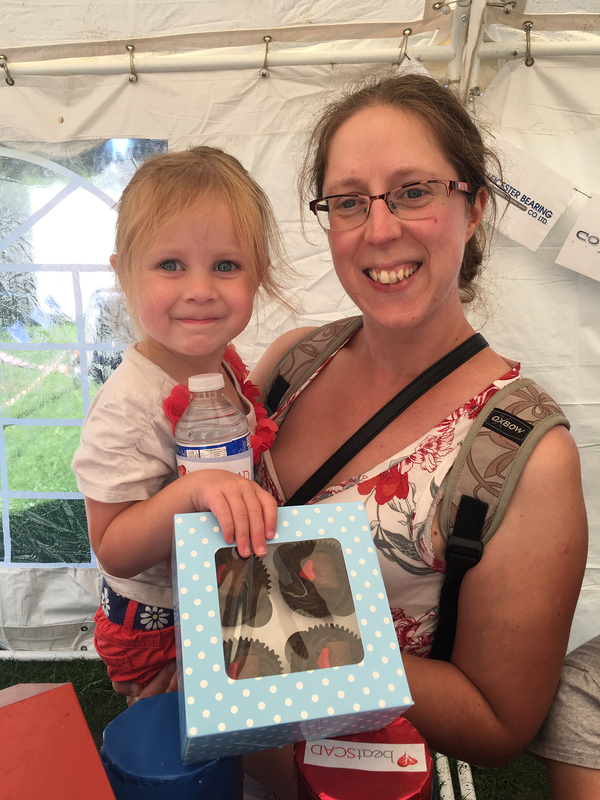 Rebecca continued: “The Trustees have been working hard on the design and content of posters and leaflets – with medical input from our Leicester research team. We’re really happy with the final results and they definitely did the job at the show. The ‘Join our mission’ pull-up includes the photo of SCAD Survivors at the Beat SCAD conference and launch last year (see below) and this image is an incredibly powerful way to show who this condition affects – it certainly drew some shocked faces when told all those young, healthy looking people pictured had experienced a SCAD heart attack. The recent Rare Disease Patient Day, organised by the National Institute of Health Research (NIHR), took ‘Think Research’ as its theme. Research is key to identifying the causes of rare diseases, but for small patient groups, it is often hard to get research projects up and running. A joint collaboration between NIHR Rare Diseases Translational Research Collaboration (RD-TRC) and NIHR BioResource – Rare Diseases, the aim of the day was “to provide insight and training in aspects of rare diseases research, as well as information-gathering and networking opportunities”. Beat SCAD joined many other delegates, patient groups and charities to attend sessions and network with each other. Simon Denegri, NIHR National Director for Patients and the Public in Research and Chair of Involve, gave the introductory address, ‘Think Research, Think Public’, focusing on the importance of patients and public being involved in research. Four training sessions covered the key aspects of taking part in research from a patient’s perspective. The session on running a successful patient group was led by Martine Walmsley, Chair of PSC Support and patient representative for the Gastrointestinal Theme on the NIHR RD-TRC Patient Advisory Group (PAG), Rebecca Breslin, Chair of Beat SCAD and patient representative for the Cardiovascular Theme on the NIHR RD-TRC PAG, and Eva Bearryman, Communications Manager at Eurordis. Martine and Rebecca discussed the challenges of setting up and running a rare disease patient group, considerations for progressing to charity status and how patient groups can help to influence research – each giving examples and tips from their personal experiences and interacting with the audience to discuss their experiences. Eva gave an overview of Eurordis initiatives and discussed how effective engagement, branding and use of social media can help raise awareness of a patient group. Eva emphasised the power of sharing patient stories – a key part of raising awareness of a rare disease. Other training sessions covered ethics, patient information leaflets for research studies and how to read study protocols. In the afternoon, there was an opportunity for delegates to pose questions to an expert panel on issues facing rare disease patient groups. 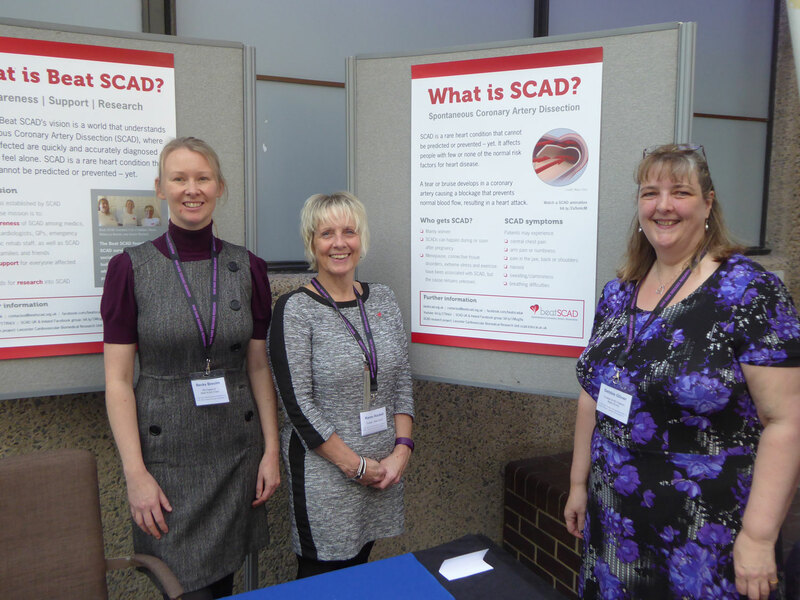 Beat SCAD also had a display stand at the event, where trustees Karen Rockell and Debbie Oliver introduced SCAD to other delegates. 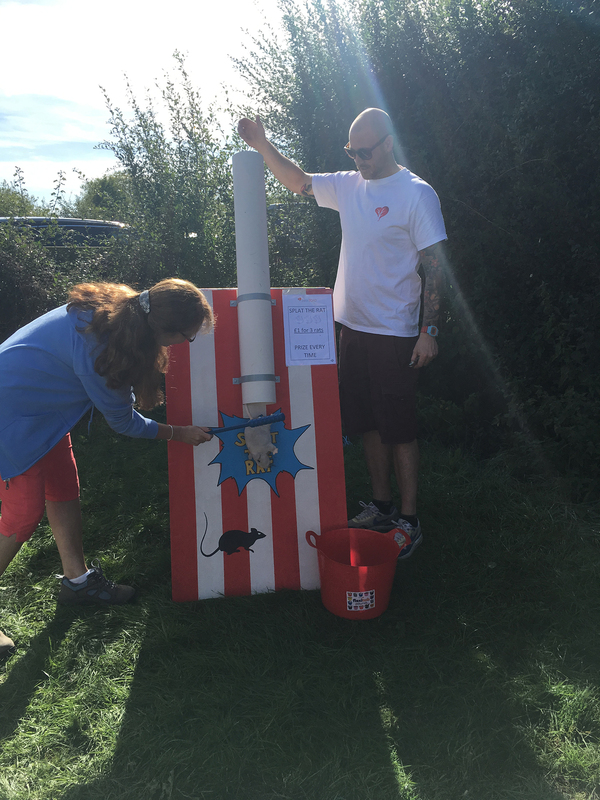 One of Beat SCAD’s aims is to raise awareness and attending events such as this helps to spread the word. Thanks to the NIHR for organising the event.